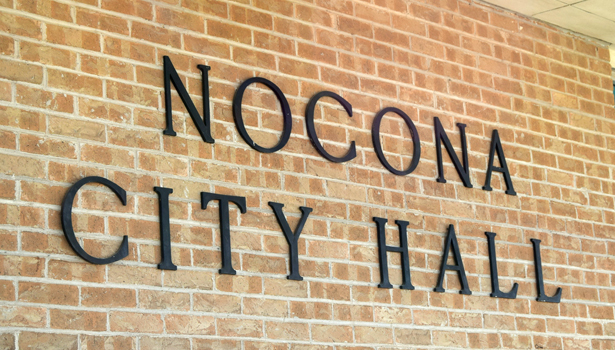 There were no public comments on the proposed $.5387 2018 tax rate as the Nocona City Council adopted the rate Wednesday morning. That figure is the effective tax rate of $.5387 per $100 assessed property value which is 1.45 cents below the 2017 rate of .55320 cents. The effective rate will generate the same tax revenue as last year. Due to an increase in values, that rate will raise 2.54 percent more taxes, $15,100 above last year. The total taxable value of properties in Nocona for the year is $116,231,648, an increase of $4,848,852 in value over last year’s values of $111,329,796. According to Nocona City Secretary Revell Hardison, the 2018 rate rate is broken down into maintenance and operations at $.4795 cents with a debt rate of $.592. The rollback rate is $.5760 cents. This budget also includes various changes to the water and wastewater rate structure. Part of revenue from the city budget is derived from water and sewer. While Nocona residents did not see a change in their taxes for the new budget, the council approved rate changes to water and sewer. The new residential flat water rate will be $27 for the first 1,000 gallons with a rate of $3.50 per thousand gallons after, from 1,001 to 5,000 gallons (present rate is $37 for 5,000 gallons). The cost will be $4.50 per thousand for more than 5,000 gallons of use per month with a $30 flat rate for wastewater.